Honor Magic 2 Appears in Official Video - Playfuldroid! Honor has recently confirmed that it will be launching the Honor Magic 2 smartphone on Oct. 31. Honor Magic 2 will be sporting manual slider design and it will be packed plenty of exciting features. Some of the rumored features of the smartphone include nearly 100 percent screen-to-body ratio, Kirin 980 and support for 40W superfast charging. 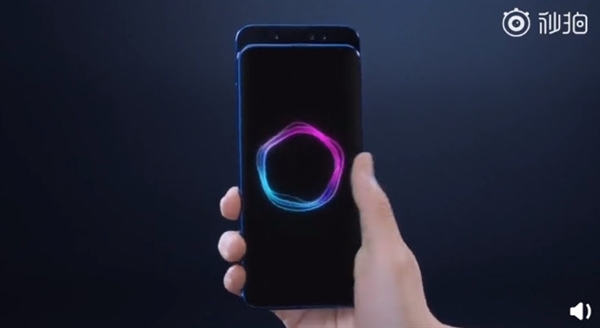 Today, the Chinese manufacturer has released a new video to tease the design of the Honor Magic 2. Even though it is fast-paced video, some of the key features of the phone can be easily seen. Even though the Honor Magic 2 is slider phone, it does not appear very thick. There is a vertical camera setup on the backside of the phone. It seems to be equipped with triple cameras. Below the camera is the logo of the company. As of this writing, there is no information available on the specifications of the Honor Magic 2. It is speculated that the handset may arrive with a graphene-based battery. Since the handset is equipped with an in-display fingerprint scanner, it will be equipped with an AMOLED display. Since the smartphone is slated to go official by the end of this month, its entire specifications are expected to surface on TENAA in the near future.